How to test a link? 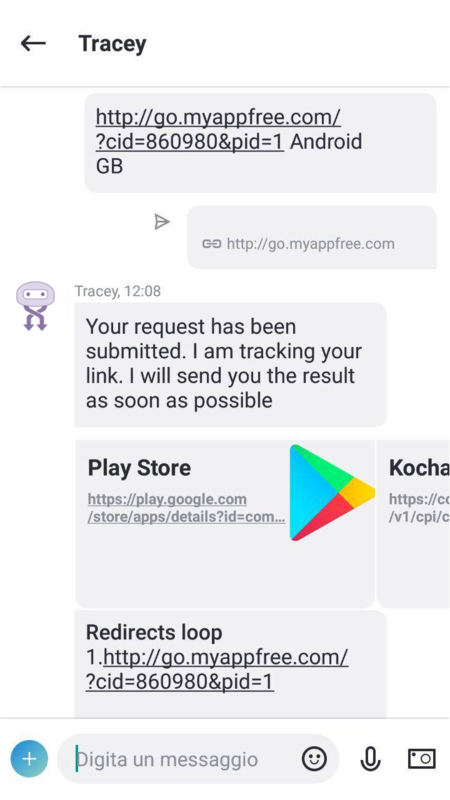 Tracey lets you test links and check offers in few seconds. It's the best free solution to stop tracking links that are not working and save your traffic. Tracey checks if your offers are working: stop wasting traffic on broken links. Track every redirect and discover where goes. 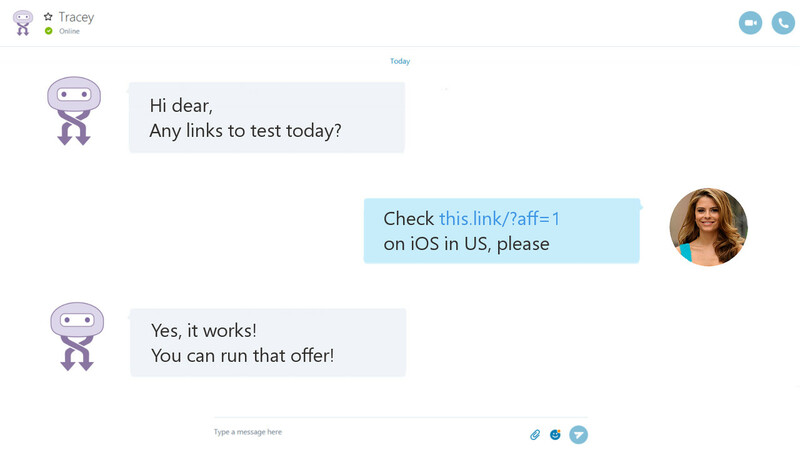 Testing offers is useful to optimize traffic and raise revenues. Are you pushing on broken offers? It's time to ask Tracey to test links for you. 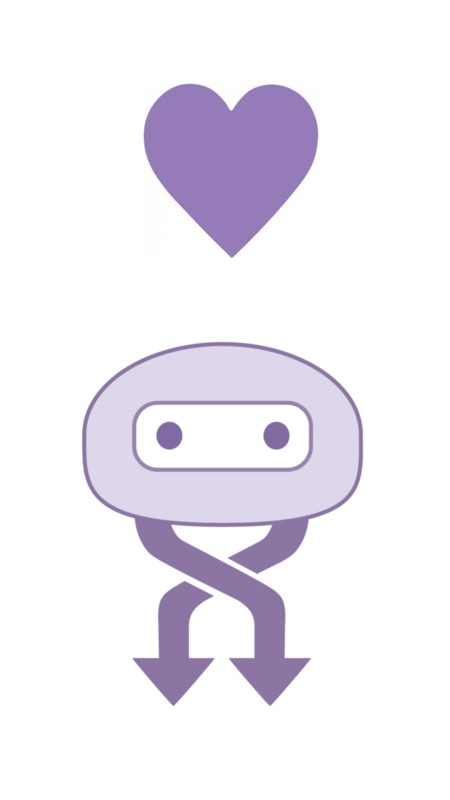 Track redirects and discover new partners in the chain. Tracey is made to help your business as best as she can. Expand your network and discover the best offers in the market. Compare payouts and take new opportunities of monetization. Discover direct offers and exclusive placements on SONY Xperia.